Either way, it is hard to capture in a picture, but looks relaxing interesting. Meanwhile … my girls just keep getting bigGER! Today (Sunday), we moved them into a smaller pen in the farrowing house, since we won’t be farrowing pigs until April. They can have a much more controlled, draft-free, environment without the silly boys (wethers) bothering them, showing off their yoga moves to the waddling mamas-to-be. Otherwise, I have filled in another day (Friday) at my former place of work (Shelby Electric Cooperative) and will again tomorrow. I am extremely thankful that the bit of freezing rain we got last night didn’t turn into an ice storm! 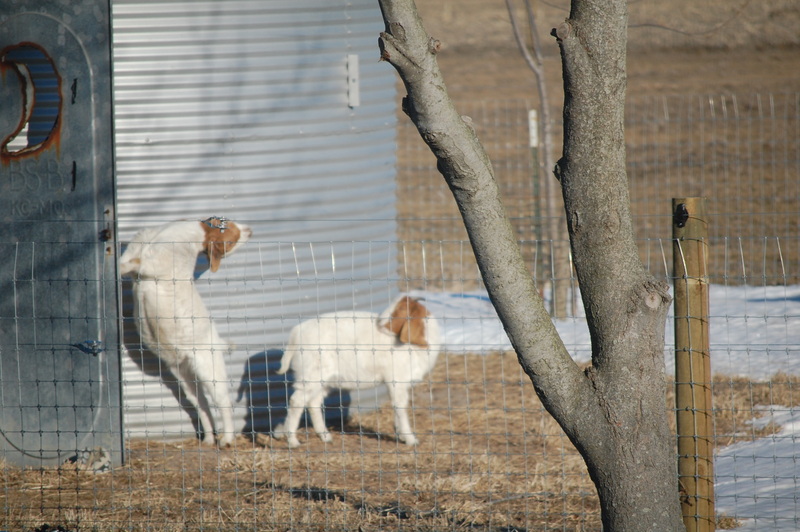 Pig farmer is working in his home office tomorrow, so he can periodically check the goats. I guess that February 4th due date was much more accurate than I thought possible! 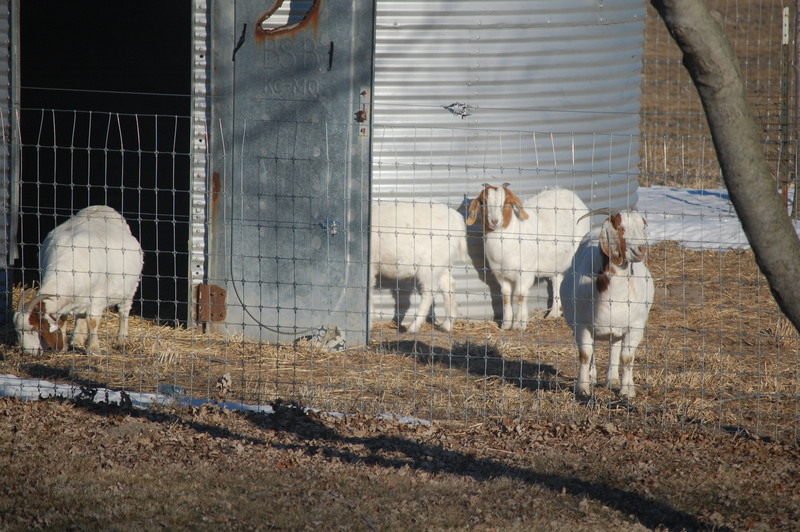 This entry was posted in Country Living, Positive Thinking, Work/Career and tagged Boer goats, country living, farm animal photos, gestating Boer goats, Pig-farmer, raising meat goats, Shelby Electric Cooperative. Bookmark the permalink. Based on a year or so of watching Big Foot do Cat Yoga, I would say, yes, that’s goat yoga. Cats are the best at yoga! 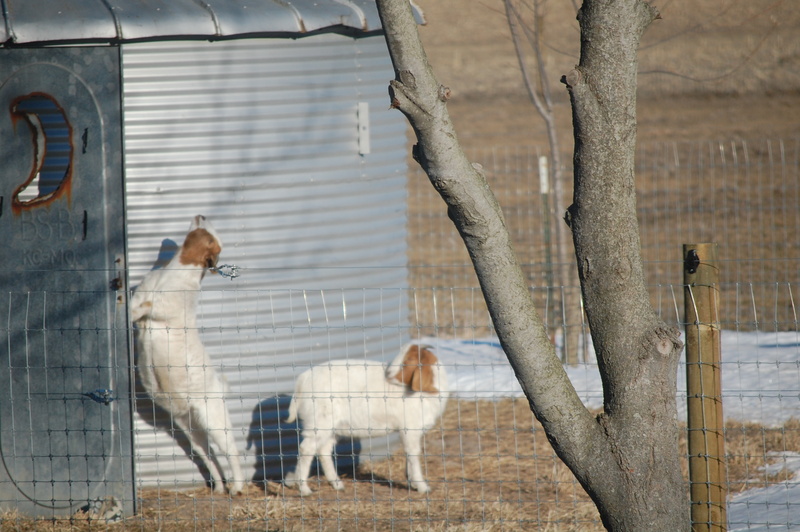 So excited to see baby goat pictures in the very near future!!! Yes, they were soaking up the rays and catching the radiant heat from the bin! Smart little things. I am excited to be taking those pictures in the near future. 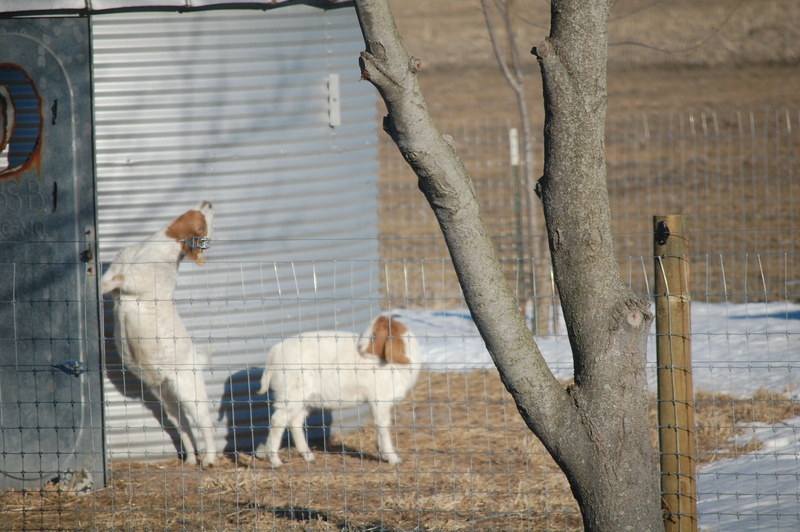 Oh my goodness those goats are adorable! Goga sounds relaxing to me….. Watching them is relaxing to me! They look like me trying to reach my face to the sun! Babies are not far away, it looks like! Mine is due to kid in a few weeks! Good luck with your kids!! Terry retired from our local REA (Delta-Montrose Electric Company) then after three years he ran and got a seat on the DMEA board. What do you do there? I was the Member Services Representative. Now, I am just helping fill in as receptionist/cashier while some health issues have an employee absent. Does he like being on the board? I think a former employee can provide a very unique, educated opinion to the board. He likes it, yes and no. He has never really like politics, which is what a board is all about, but he does really care for the company. His time to re-run is fast approaching so he is going to have to decided quickly if he wants another term or not. I guess a good stretch works for everyone, no matter how many feet.